Above: Double Dutch Soda medical marijuana at Cultivate Holdings in Leicester. The medical marijuana dispensary will start offering recreational sales Tuesday. The wait will soon be over. On Tuesday morning, the first recreational marijuana stores in the Eastern United States will open in Massachusetts, kicking off an era of legal cannabis sales after more than a century of pot prohibition in the state. The state Cannabis Control Commission made the historic announcement at 4:20 p.m. Friday, saying in a press release that it had issued “commence full operations” notices to Cultivate and New England Treatment Access, or NETA, which are marijuana retailers in Leicester and Northampton, respectively. The notices indicate that the firms, both of which operate as medical marijuana dispensaries, passed exhaustive inspections by state workers checking for compliance with a lengthy list of rules. “This signal to open retail marijuana establishments marks a major milestone for voters who approved legal, adult-use cannabis in our state,” commission chairman Steven J. Hoffman said. How do I pay? What do I need to bring? What happens when I walk in? 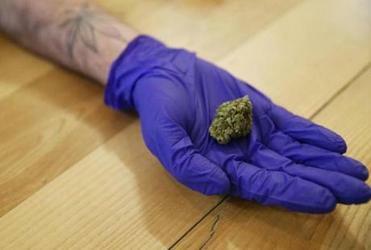 With recreational pot sales just days away in Massachusetts, here’s what you need to know. Read: CCC announced start of recreational sales — at 4:20 p.m.
NETA’s shop is expected to open Tuesday at 8 a.m.Cultivate will also open at 8 a.m. on Tuesday for recreational sales. The dispensary’s regular hours for its medical marijuana business begin at 10 a.m.
“We will be thrilled to be part of this milestone for Massachusetts when NETA Northampton opens its doors to adults 21-years and older offering legal, safe, regulated cannabis,” NETA’s director of government affairs, Norton Arbelaez, said in a statement. 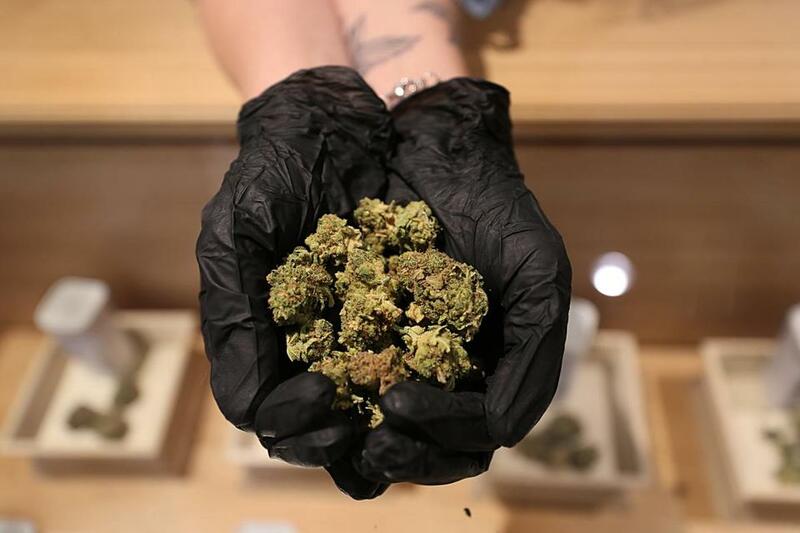 Massachusetts first made marijuana illegal in 1911 — and it stayed that way until 2016, when 1.8 million voters said “yes” to a ballot measure legalizing the drug for adults older than 21 and establishing a system of regulated sales. Maine and Vermont are among the nine other US states that have also legalized marijuana amid the remarkable surge in public support for easing restrictions in recent years, though neither has opened any retail shops. Other New England states are now eyeing legalization as well, while at the national level, emboldened advocates and supportive elected officials are pushing to end the federal prohibition on cannabis. On their mind: the debut last month of legal pot sales in Canada, and an October ruling by Mexico’s highest court saying that country’s ban on the drug is unconstitutional. In the end, it took Massachusetts lawmakers and regulators more than two years to implement the voter-passed measure, prompting frustration and cynicism among the public and marijuana business owners eager to get going. However, Massachusetts has largely avoided the messy and rushed rollouts seen in other states, which were marred by the closure of scores of semiregulated pot companies and a patchwork of local regulations. The commission, which has been hiring staff at a rapid clip, is currently processing 180 applications for retail, cultivation, processing, and other licenses. Additional retailers that have already won licenses are expected to get final go-aheads in the coming weeks, which should ease the expected supply shortages at the two initial retailers. Friday’s announcement prompted celebration by marijuana proponents. While the opening of the two shops will be the final step in a drawn-out bureaucratic process, it also will mark a cultural watershed for Massachusetts, a onetime home of Puritanism. Until now, only registered medical patients could buy lab-tested marijuana from dispensaries under government oversight. Everyone else had to grow their own or text their “guy”; it was an underground economy, accompanied by an underground culture that’s still cherished by many veteran cannabis consumers. Beginning Tuesday, however, anyone 21 and older will be able to go to one of the two new stores and pick up a pack of joints or bag of THC-infused lozenges on the way home from work — the same way they’ve long been allowed to grab a six-pack of craft beer or a bottle of Chardonnay from the local package store. With the rest of the world poised to walk into what had previously been a sacred space for those in the know, some advocates can’t help but feel a sense of loss even as they cheer the opening of stores. Jefferson and other advocates are also concerned about a lack of equity and diversity in the nascent Massachusetts cannabis industry — a problem across the US economy, but one that’s particularly poignant in the marijuana space, given the drastic racial disparities in how prohibition was enforced. Most of the companies that have received licenses from the commission so far are established medical dispensaries led and financed by white men. State medical marijuana regulations mandated that those firms build out vertically integrated operations that grew, processed, and sold their own marijuana; along with other onerous and expensive requirements, including the necessity of winning approval from skeptical local governments, that meant less-connected and less-wealthy operators were largely shut out. It was not immediately clear who might make the state’s first legal pot purchase on Tuesday. When sales started in Colorado in 2014, legalization campaigners staged a ceremonial first sale to medical marijuana advocate and Marine Corps veteran Sean Azzariti. Joshua Miller of the Globe staff contributed to this report. Dan Adams can be reached at daniel.adams@globe.com. Follow him on Twitter @Dan_Adams86.